In New Zealand, as public funding for the environment falls, the government’s Department of Conservation is seeking partnerships with business. But what happens when conservationists get into bed with corporations? It’s difficult to catch a photograph of Fern, one of Brancott Estate’s spitfire karearea; after all, she and her kind have a top speed of 200 kmh. Recently, on one of her public outings in Brancott’s vineyard, the compact, sleek New Zealand falcon swooped above the craned heads of onlookers, drawing gasps of admiration as she chased a pukeko wing lure. When she landed on her trainer’s outstretched arm and tucked into a duck neck, her head still bobbed constantly, her keen yellow eyes catching every movement, even as she tore the flesh from her snack. 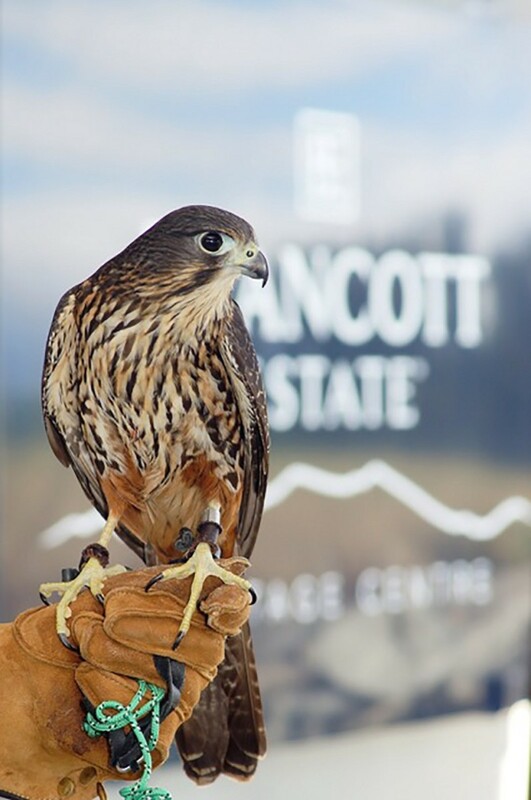 Brancott Estate Heritage Centre, a winery in New Zealand’s premier grape region of Marlborough, opened its purpose-built Falcon Valley aviary and viewing area in 2014, and it provides a chance for the public to see this endangered bird in action. Most people won’t get many chances; there are only an estimated 6,000 karearea left in the wild. Endemic to New Zealand, and the last bird of prey left in the country, its numbers have dropped due to loss of habitat and introduced pests such as rats, stoats, and possums. But don’t mistake Fern and her kind as the shy and retiring type: they have been known to attack dogs, and people, and even fly up to light aircraft invading their territory. 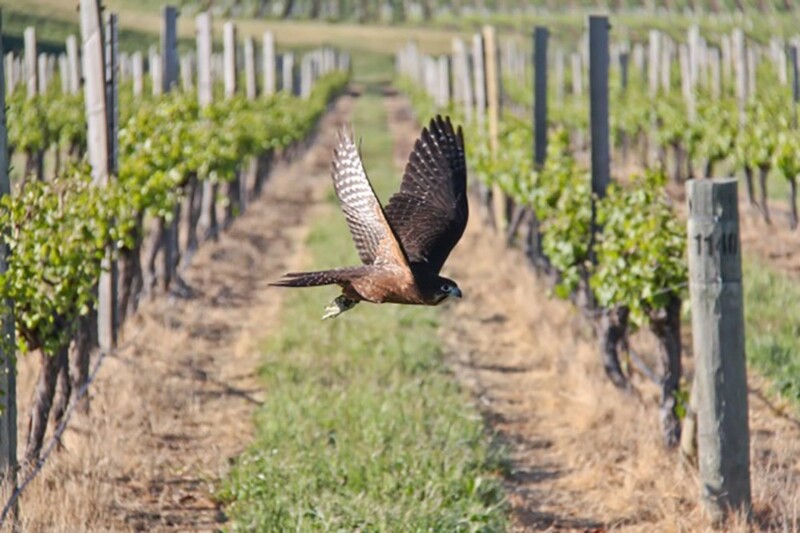 Fern is the public face of the winery’s partnership with the Marlborough Falcon Trust. With the help of the New Zealand Department of Conservation (DOC), the winery is having success breeding the birds. It released six in 2014, and has so far invested NZ $500,000 into the program ($328,000). It’s a win for the birds, but also a win for the brand, trust chair and Brancott winemaker Andy Frost says. It has become a unique tourist attraction for Brancott; a point of difference in a region soaked with wineries. Regardless of how much public money is poured into the environment, having well-managed and honest partnerships with conservation organizations can end up a win-win. Conservation is important to New Zealanders; a recent study showed it is at the heart of Kiwi identity. But so is dairy, meat, fruit, and wool production. Four and a half million people are spread down a narrow landmass the area of Colorado, and New Zealand has long based its reputation for quality primary produce — as well as its NZ $24 billion ($15.7 billion) tourism and recreation industry — on being a healthy green oasis. One of our greatest scientists, the late Sir Paul Callaghan, described our natural wilderness and endemic creatures as our answer to the ancient cathedrals of Europe. But the reality is very different. Ninety percent of monitored lowland pastoral and urban rivers, and 62 percent of all rivers, are unsafe to swim in — something that was once considered a Kiwi birthright. New Zealand’s rivers are also central to Maori identity, best encapsulated by a proverb from the Whanganui River: Ko au te awa, ko te awa ko au (I am the river and the river is me). The latest national environment report showed river and soil quality has worsened as farming has intensified, and nitrogen in land and water has increased, mainly due to increases in dairy cattle numbers and nitrogen fertilizer. New Zealand has one of the highest rates of threatened species, due largely to predation from introduced mammals and loss of habitat. 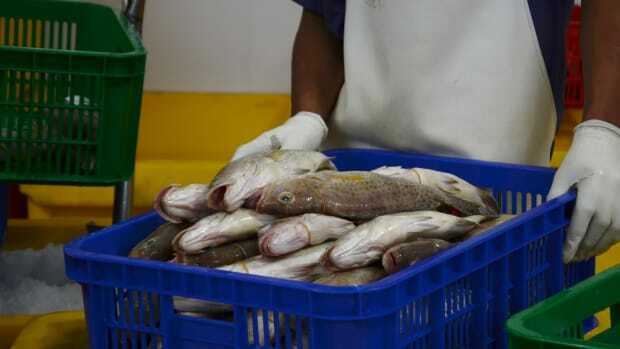 And in a strange twist of legislation, many threatened native fish can be commercially harvested and sold, akin to finding a falcon on your plate. And yet, in the last few years, the DOC began to look like a threatened species itself, a high-profile victim of budget cuts, staff restructures, and the announcement that the DOC would begin to focus on seeking corporate partnerships to fund conservation. Today, with 1,800 staff and an annual budget of just $452 million ($262 million) — but charged with looking after a full one-third of the landmass — it can only manage about 300 of 2,000 threatened species in New Zealand. In the background of this conversation, climate change looms large. New Zealand’s economic backbone is traditionally built on producing food, but nowhere in the skinny country is more than 130 km (80 miles) from the coast; in fact, 75 percent of the population lives within 10 km (six miles) of the sea. Climate change is tipped to bring more pests and disease, floods, droughts, and freshwater problems, with saltwater intruding into groundwater and less water available for farming. To critics, the DOC seems to be slowly becoming a commercial operation right when it’s needed the most. 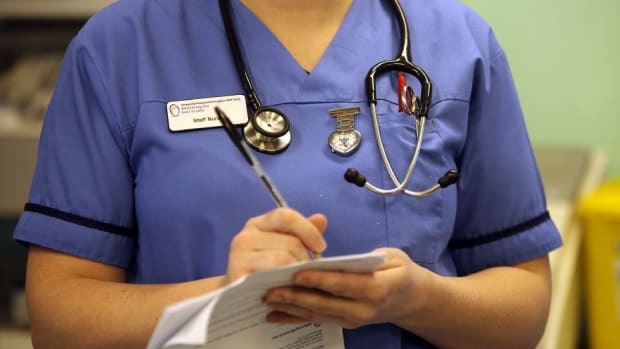 Geoff Ensor, the DOC’s commercial partnerships director, says that the perception has always been that the department needed money — but it’s a bigger issue than that. The message: We are not winning the conservation battle, and the DOC can’t do it alone. Commercial partnerships, Ensor says, mean that conservation becomes everyone’s concern, and he says that, once businesses get involved in a successful partnership, it sparks new energy and ideas. “The multiplier effect becomes powerful and it’s not the first thing to be dropped when business gets hard,” he says. Last year, Fulbright scholar and environmental scientist Jill Ozarski visited the DOC and explored public-private partnerships in New Zealand. Ozarski picked New Zealand as a potential model for the world in how to create a sustainable natural environment and economy at the same time. She concluded that there was “tremendous opportunity” for the DOC to continue to expand partnerships with primary industry, that industry was interested in doing so, and that there were important conservation gains to be made. Critics would say companies are only getting involved because their products and processes are so destructive they’ve been embarrassed into behaving better, or to get a good public relations bump — greenwashing, in other words. In 2014, for example, the banking giant Westpac started lending capital to clean technology firms — but has also come under fire for financing the coal mining giant Bathurst Resources, which has permission to mine rare habitat on New Zealand’s Denniston Plateau (the mining operations have been suspended since Bathurst’s main coal purchaser folded). 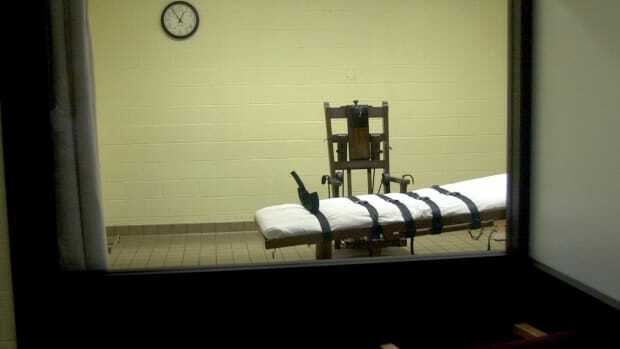 Incidents like these have led environmentalists to regard these partnerships with suspicion, but Ozarski points to honesty and transparency as ways to combat the problem. “Actually talking about what you’re achieving and where you’re struggling is critical,” she says. Making a real difference is the way to break the “cycle of mistrust,” Ozarski says. Culture clash is inescapable, but both parties have a responsibility to compromise, and to put firewalls in place. In her study, Ozarski found that, perhaps contrary to the gut feelings of the general public, economic calculations and “bottom-line” numbers were not an important factor for anyone she interviewed. He does worry that some corporates want more marketing and profile out of projects before they’re quite ready, which has caused tension. Another issue is that businesses tend to ignore the “big-picture hard stuff” like climate change in favor of smaller, definable projects, perhaps with a cuteness factor. One of the most successful DOC partnerships so far is with Air New Zealand. Conscious that its future depends on eager tourists flocking to this green island paradise, the airline supports a marine reserve monitoring program and heavily promotes the DOC’s nine Great Walks, funding invasive pest trapping along the networks. 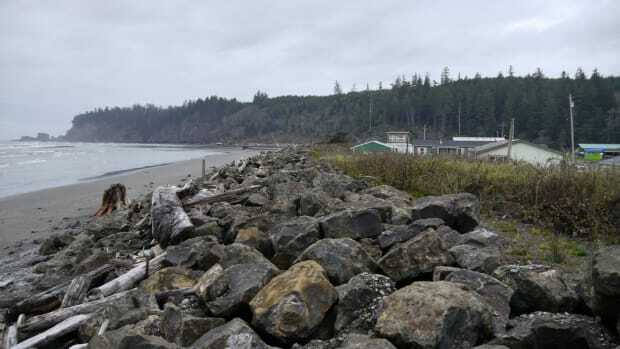 Since the partnership began three years ago, the DOC has seen a 31 percent increase in the number of people staying overnight in huts and campsites on the Great Walks and an extra 24,736 people on the tracks. The carrier has also been providing free and safe air travel for threatened species for relocation and conservation programs around the country for years. Ninety percent of monitored lowland pastoral and urban rivers, and 62 percent of all rivers, are unsafe to swim in — something that was once considered a Kiwi birthright. But no other project more embodies the promise and the pitfalls of conservation partnerships than the 10-year, $20 million Living Water partnership between the DOC and Fonterra. Fonterra is a dairy co-operative responsible for 30 percent of the entire world’s dairy exports. Dairying makes up a quarter of New Zealand’s export revenue but, as Ozarski points out, intensification of dairying is responsible for many of New Zealand’s environmental problems. New Zealand’s dairy cattle live outside on grass, and, as such, the nutrients in their waste can pollute surface and groundwater. Wetland and lowland native forests have been destroyed for farm development, and there are negative effects on soil too. Living Water is the biggest corporate contribution to conservation work New Zealand has ever seen. It aims to work with indigenous and community groups to restore wetland habitats, control nutrients, reduce pests and weeds, and enhance native wildlife. At its launch, conservation minister Nick Smith said the relationship between conservationists and farmers had historically been one of protest and confrontation, rather than co-operation and collaboration. The Living Water program is groundbreaking, says Emma Parsons, Fonterra’s general manager for responsible dairying. Nothing else involves so many people or is so fundamental to long-term prosperity — both economic, social, and environmental, she says. “Historically, businesses have been aware of their impacts on natural resources but not as aware of their dependence on those resources,” Parsons says. “That’s certainly been a really key theme in our thinking. 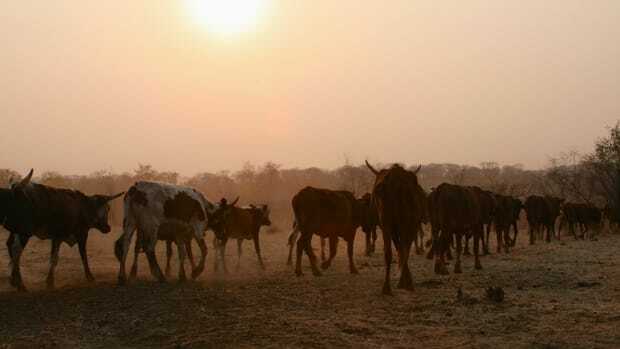 The project so far has seen 24,000 km of streams fenced to keep cattle from fouling them, plus an additional 9,000 km of ephemeral streams and wetlands, and “tremendous investments” into effluent and nitrogen management on dairy farms. “It is to make business face up to the reality that, for generations, it has ignored its impacts on the environment — and the public has had to pick up the cost,” Morrison wrote. In some parts of the country, that cost has already become too much for the land to bear. 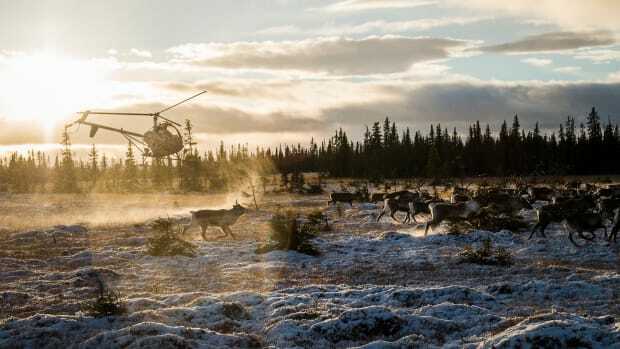 But regardless of how much public money is poured into the environment, having well-managed and honest partnerships with conservation organizations can end up a win-win. If other companies want a share of consumers’ growing green dollar, they will have to get on board. And, sadly, with climate change biting harder, there’ll be no shortage of opportunities. The Conservation in the Age of Climate Change Project is an effort to explore how conservation organizations around the world are responding to rising seas, droughts, extreme weather events, and other threats posed by global warming. Can an All-Payer Model Save American Health Care?